Somehow I missed Anne Frank’s birthday yesterday. So I’m posting her bioBLOG today instead. Annelies Marie Frank was born on June 12, 1929 in Frankfurt am Main, Germany. Yesterday was the 84th anniversary of her birth. Anne was the younger daughter of Otto and Edith Frank. Otto Frank was a “lieutenant in the German Army during World War I who later became a businessman in Germany and the Netherlands..”[Biography.com] Anne’s older sister Margot was three years her senior. The Franks were upper middle-class German Jews. They lived in a diverse neighborhood. Anne went to school and played with children of various religions. But when the Nazis came to power in Germany Otto Frank moved his family to Amsterdam. She particularly liked reading and writing, while Margot liked arithmetic. It was one of the many ways in which the sisters were dissimilar. Anne was outgoing, rambunctious and loud; Margot was reserved, well behaved and quiet. By October of 1940 Anti-Jewish laws were put into place. Anne and Margot had to leave their schools and attend the Jewish Lyceum. The family had to sew the yellow Star of David on their clothing and had to follow a curfew. 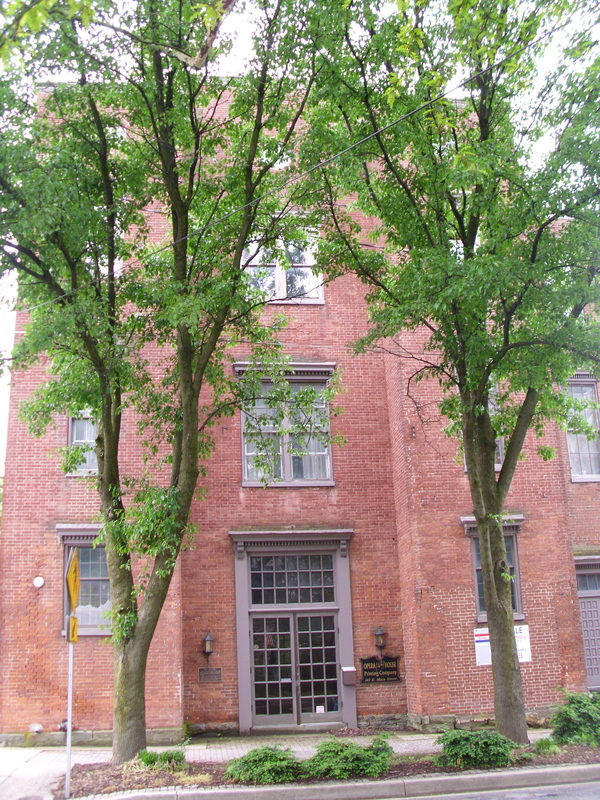 Otto Frank took measures to transfer his businesses to Gentile partners so the companies would not be liquidated. For her birthday in 1942 Anne’s parents gave her a red and white checkered diary which she dubbed “Kitty”. Less than a month later Margot was called up for service in a German work camp and the family went into hiding. The Secret Annex was raided on August 4, 1944 and Anne, her family and the others hiding there were taken to Camp WesterBork in Northeast Netherlands. On September 3rd, 1944 They were transferred to Auschwitz in Poland. That winter Anne and Margot were transferred to Bergen-Belsen. Both girls contracted typhus and died in March of 1945. Otto Frank, the only one from the Annex to survive the Camps, returned to Amsterdam after the War. 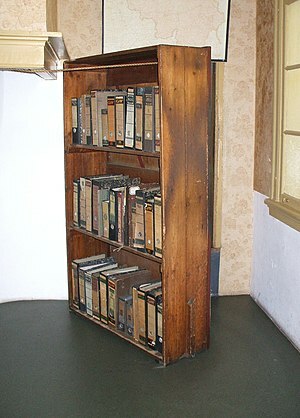 He found Anne’s diary and had selections from it published. It has since been published as a novel, a play and filmed for both television and the big screen. 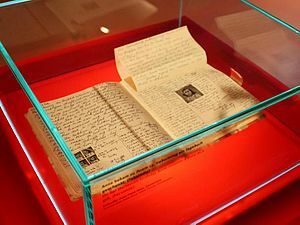 And so it is that Anne Frank’s words live on 71 years after she began to scribble them down in a little red and white diary. 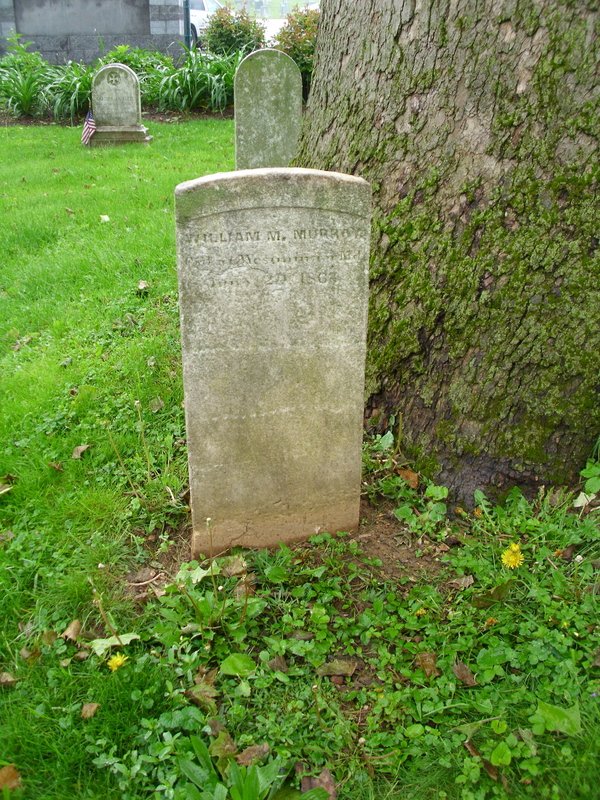 Marker for Lieutenant John William Murray, one of two Virginians who lost their lives in the Battle of Westminster. I wrote this article for AT HOME IN MARYLAND an on-line magazine. It was originally published last year, but I have updated it for publication here. Permission to reprint the article was given by the publisher. All photos and content are the original work of ritaLOVEStoWRITE. this year it will take place June 23 & 24th. What started out as a single afternoon in 2003 has grown to a weekend-long celebration that draws over 2,000 people. The weekend includes a Civil War encampment; military demonstrations; period music; living history interpretations and artisans, guided tours, speakers and museum displays relating to the Civil War period. A wreath will be laid at the Corbit’s Charge monument. Corbit’s Charge took place June 29, 1863 on the outskirts of Westminster. A group of about 90 men from the C and D companies of the Delaware 1st Cavalry skirmished with the vanguard of Confederate General J.E.B. Stuart‘s cavalry near what is today East Main Street and Washington Road. The skirmish, also known as, “The Battle of Westminster,” resulted in delaying Stuart from getting to Gettysburg, and may have cost the South the battle. So what was the battle all about? For two weeks J.E.B. Stuart and his cavalry were busy collecting provisions and information and harassing the Union’s rear echelon in Northern Virginia and Maryland. He was essentially charged with a surveillance mission but he was just as happy to raid, and he was up to no end of trouble as he made his way up to a rendezvous point with General Jubal Early in York, Pa. He destroyed a portion of the C&O canal here… dismantled a telegraph lines there… attacked an 8-mile-long wagon train of Union supplies here… Stuart was a busy guy. It was clear that the Federals had a column of men heading north through Frederick, and he tried twice to alert Gen. Robert E. Lee to the advancing troops – He was Lee’s eyes and ears after all — but neither missive made it to Lee. So Stuart pointed his horses toward the rendezvous in York, and headed the Rebel Calvary toward Westminster. Unlike their battle hardened Rebel counterparts, the 1st Delaware Calvary had seen light action thus far, serving for the most part in the defense of Baltimore prior to moving northwest to Carroll County. Mustered in January, 1863, the 1st Delaware Calvary couldn’t come up with a full complement of 10 horse companies. They scraped together seven small companies and those seven were reassembled into four active companies. Under the leadership of Major Napoleon Bonaparte Knight, Companies C and D arrived in Westminster to bolster a small garrison from 150th New York to protect the railroad depot for the Western Maryland Railroad line. They arrived at about 11 a.m on June 28. It was quiet warm Sunday. They set up camp in the “Commons” on the north side of town, near what is now McDaniel College. The area was on high ground and provided the Union troops with a good view of both the town and the roads leading to it from Taneytown, Uniontown, New Windsor and Gettysburg. Pickets were placed along the roads leading to town and the Delaware troops settled in, assured that they would be warned of any Rebel movement. The Opera House was used by Lt. Pulaski Bowman and the New Yorkers as their head quarters. Lieutenant Pulaski Bowman, who was in charge of the New York Provost Guard reported to Knight that there was no enemy about either in Gettysburg or Hanover. The Major, satisfied that all was secure, retired to the Westminster Hotel and Tavern, his unofficial headquarters and settled in for some local comfort. There were some disturbances in the night, with reports coming in from the Hampstead and Manchester road pickets that the Southern cavalry was advancing, but investigation failed to turn up any Southerners. The Union troops settled in for the night. With the next day looking equally uneventful, Major Knight ordered the battalion’s blacksmiths to attend to the horses, many of whom had thrown shoes on the rough road from Baltimore. Stuart needed to travel through Westminster to get to Lee. He knew that the information he had on the Union Army’s whereabouts was vital to the General’s tactical planning. One little bit of the Union Force he was unaware of was the small group of Blue Coats from Delaware in his way. He found out about them just after 4 p.m. when his forces overcame and captured a handful of pickets on the ridge road. The advance guard of the Confederates under Fitzhugh Lee (General Lee’s nephew) entered the town and captured five of the Delawareans at Michael Baumann’s Blacksmith Shop. Again the Yankees were prevented from alerting their superiors. But Isaac Pearson, a young lawyer from the town, who saw the Rebel force, took quick action and reported them to the Yankees. Knight was unaccounted for, whether he was sick, inebriated or just flat out hiding is unclear (he had originally signed up to fight for the South, but deserted to fight for the North early in the War.) So when the warning cry rang out he was spared the glory of leading less than a hundred men against Stuart’s thousands. That honor fell to Captain Charles Corbit. Corbit was twenty-five years old, tall, strong, and well liked by his company of 4 officers and 89 enlisted men. Some of those men were out at the pickets, some were left mountless as their horses were being tended to and others had already been captured. He rallied what remained of his subordinates at the top of Main Street and moved east to find the enemy. Corbit sent Lt. D.W.C. Clark ahead with a scouting party of a dozen men. 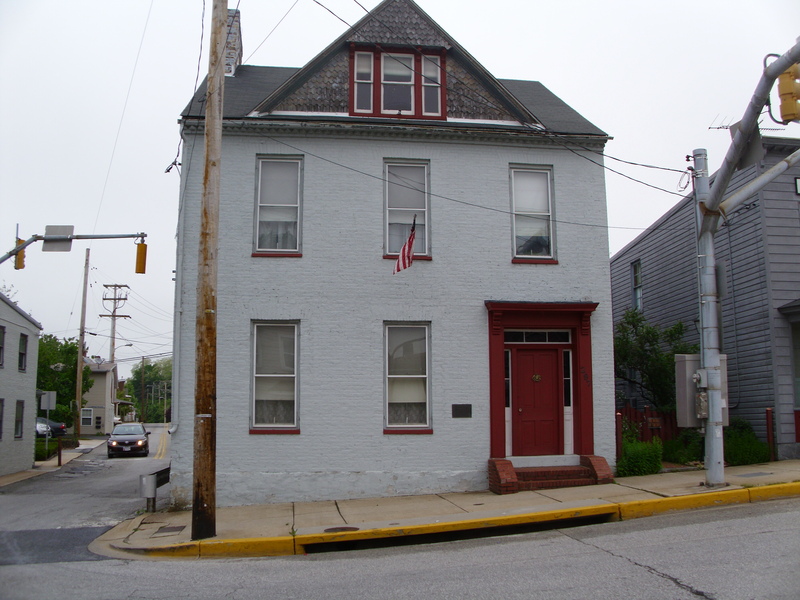 Lt. Clark went through downtown, passing the blacksmith shop and turning left on Washington Road where they encountered Fitzhugh Lee and the front of Stuart’s force. Clark quickly turned around and rushed back to Corbit to report his findings… There was a LARGE contingent of Southern gentlemen just around the corner! Instead of retreating Corbit drew his sword. He led his men head on against the hordes of Confederates. What little luck Corbit had on his side– besides the loyalty of his troops and his own bravado–was the layout of that area of town. Washington Road hit Main Street at an odd angle and there was a sturdy fence that squeezed the cavalry men together into a narrower field of battle. The other Delaware company, Company D, under Lt. Caleb Churchman, heard the gunfire and quickly joined the battle. But the Northerners were still hopelessly outnumbered. The battle was fierce and short-lived. Corbit and his men fought off two or three countercharges before the sheer overwhelming number of Rebels won the day. The Southerners pushed the 1st Delaware back up Main Street. Corbit’s horse was shot out from beneath him and he was captured along with most of his company. A few of the Yankees, including Major Knight, escaped toward Baltimore on the Reisterstown Road (Baltimore Pike) a swarm of Confederate riders in hot pursuit. This caused some alarm in the city when the fleeing troops warned that the Confederates were about to invade. The Trumbo/Chrest House was in the thick of the action. There are still bullet holes in the side of the building. The more practical outcome of the battle was that two officers from the 4th Virginia Calvary and two privates from the 1st Delaware lay dead on the dusty streets of Westminster. (One of those Virginians, 1st Lt. John William Murry, Co. E. 4th Virginia Calvary, C.S.A., is buried in the Ascension Episcopal Church cemetery at 23 North Court Street.) 11 men were wounded and almost all the Northerners were taken as Prisoners of War, including Captain Corbit, Lt. Churchman and Lt. Bowman. The Southerners overtook the camp at the Commons and confiscated supplies, both army issue and private, and intelligence. The town and the surrounding farms were likewise foraged for supplies. Then Stuart stopped for the night. For the first time in five days both the men and the horses in Stuart’s column had enough to eat and a chance to rest. The Confederates continued on to Hanover the next day, where Stuart paroled Corbit and Chruchman, and continued on to meet up with General Lee in Gettysburg. 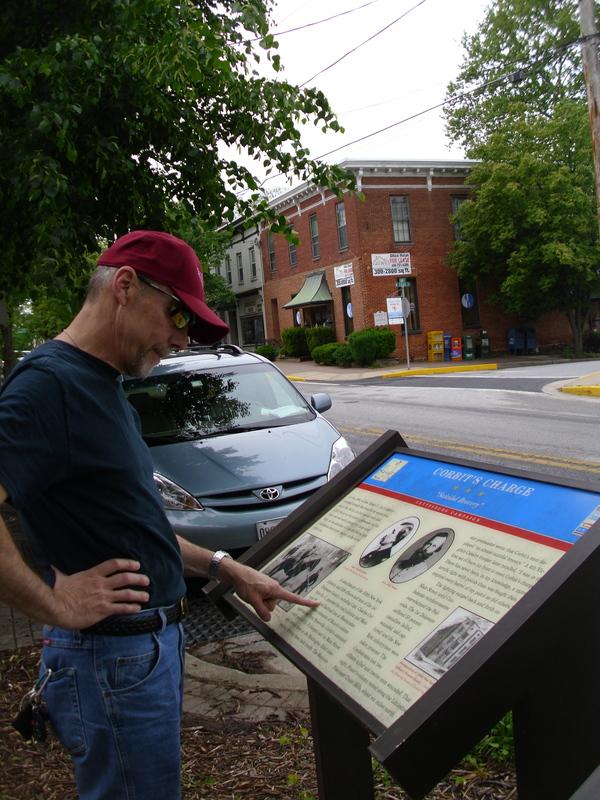 A Civil War history buff reads the Corbit’s Charge marker on Westminster’s Main Street.